The challenge to the Muslim world’s stability presented by the Islamic State, earlier known as the Islamic State of Iraq and al-Sham (ISIS), has become quite serious over the past few days. Baghdadi’s organisation comprising the breakaway extremist faction of Al Qaeda has made significant gains in Iraq. Following its capture of minor oil fields and demolition of quite a few heritage monuments it has seized control of the large dam on the Tigris and the international media is now warning of the possibility of a catastrophic flood. These fears may appear exaggerated but the conflict in Syria continues, an incident has been reported on the border of Lebanon and according to an agency report, Saudi Arabia is strengthening its defences along the border with Iraq. The Arab fratricide is obviously taking a heavier toll than expected earlier. The people of Pakistan should be concerned that the slogan of caliphate has spread to India. NewAgeIslam, a well-known online forum for debate on Muslim affairs, has disclosed a charter of demands presented by a leading Muslim scholar, Maulana Salman Husain Nadvi, urging Saudi Arabia to establish a caliphate. Maulana Nadvi is reported to have pleaded for a world Islamic army and argued against branding the religious militants as terrorists. Instead, these “sincere Muslim youth fighting for a noble cause” should be united in a confederation of jihadi organisations for worldwide action under the guidance of the ulema. Maulana Nadvi is quoted as saying: “As for the issue of Qadianis, particularly Safavids [meaning Iran?] and those who abuse the sahaba [meaning Shias], we should not be afraid of them and we do not need to go to the US or Israel to ward off threats from them. Just recruit the Ahle-Sunnah youth from the Indian subcontinent [does that include Pakistan?] and form a powerful Muslim army of the Islamic world. After that there will be no need of the so-called army of the sick youth of the Gulf states. Pakistani religious circles should not be unfamiliar with Maulana Nadvi. His grandfather, Syed Suleman Nadvi, a close associate of Shibli Naumani, was at one stage adviser to the Pakistan government. It is not easy to believe that Maulana Nadvi is unaware of the contradiction between his call for an all-powerful khalifa and the Quranic dictum that Muslims decide their matters through mutual consultation, or that he does not realise the consequences of his posturing for the Muslim world, the Indian Muslims in particular. The logic of Maulana Nadvi’s letter, if it has been correctly reported, leads to the politics of religious exclusivism that has already caused the Muslims of the subcontinent colossal harm. Regardless of their reading of the Bharatiya Janata Party’s (BJP) rise to power the best course for the Muslims of India, as indeed for Muslims anywhere else, is to adopt non-theocratic, inclusive political ideals. Apart from the fear that Maulana Nadvi’s policy will exacerbate Shia-Sunni differences in India and elsewhere, the Indian Muslims’ relapse into communal politics, and revival of their suicidal tendency to look for succour beyond the national frontiers, will strengthen the rabid communalists in India’s majority community, especially among the BJP and Rashtriya Swayamsevak Sangh hawks, and further undermine the state’s secular assumptions. Any such development is bound to strengthen conservative and anti-democratic elements in Pakistan. The need to repel the arguments of the new advocates of caliphate cannot be gainsaid. Unfortunately, the question of caliphate, its justification or otherwise, has not been seriously debated in Pakistan. The Muslims living in the Pakistan territories in the 1920s took the Khilafat agitation (1919-1924) perhaps a little more seriously than their co-religionists elsewhere in the subcontinent. They fought for the Turkish caliphate with more passion than reason and cursed the British for not heeding their prayers for saving the caliph though his own community had had enough of him. The subject was discussed by Allama Iqbal in the last of his 1930 lectures, published under the title The Reconstruction of Religious Thought in Islam, and he defended the decision of the Turkish Grand National Assembly that the functions of the caliph could be performed by democratically elected representatives of the people. Iqbal quoted Ibn Khaldun to argue that there was no unanimity among Islamic authorities on the idea of a universal caliphate; two other views were that caliphate was “merely a matter of expediency” and that there was “no need of such an institution”. Allama Iqbal described Ibn Khaldun’s argument in favour of changes in the concept of caliphate as the first dim view of international Islam that was taking shape in the 20th century. The lecture was marred by some contradictions Iqbal did not notice but it did offer a memorable warning to Muslim scholars “that a false reverence for past history and its artificial resurrection constitute no remedy for a people’s decay”. 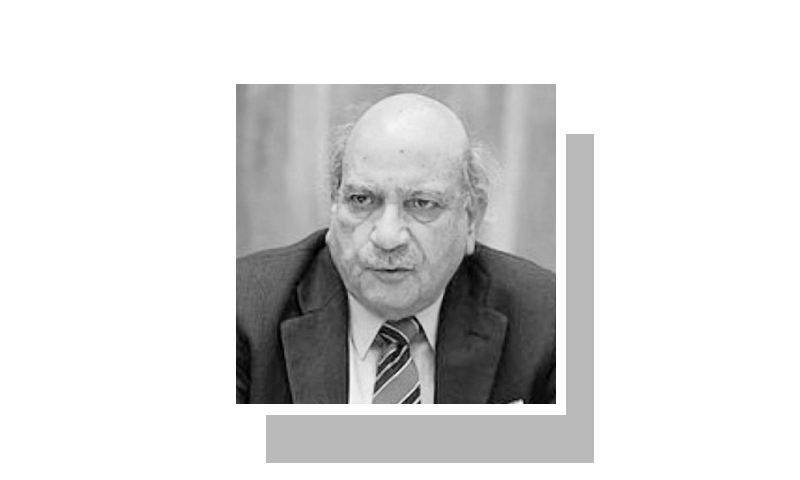 The point that needs to be grasped is that the upholders of liberal Islam, for which the subcontinent’s scholars used to enjoy a clear distinction, in both Pakistan and India, must equip themselves now to meet the challenge to peace, democratic development, gender justice and love of heritage the storm in Iraq and Syria is posing. For all one knows, Baghdadi may have supporters in Pakistan too. This country is in no position to bear the cost, in lives and material resources, of an intra-religious conflict that is being extracted from the Arab family. Is it possible for a Pakistani (non-Arab) to become a 'Caliph'? Muslims of the subcontinent especially India needs to follow Maulana Salman Husain Nadvi's advice and head to Iraq and Syria. Greater Arabia is pure land where Indian Muslims need to return and fight the last war. Inshallah Muslims will rule over whole world. Just follow the money trail it will expose a lot of theories. @Salim I second your sentiments. After joining their Arab brethren, they should just stay there and help the rest of the world live in peace. @Salim Not sure if you are being sarcastic, or are seriously delusional. Intellect is not hereditary transmitted to next generation. Being a grandson of a famous scholar does not qualify anyone for same exalted position. This call for military training by Naqwi is equivalent to a new era of jihadi mentality. This is 21st century, where jihad is the last thing in Pakistanis minds. What our youth needs is education in science, engineering and other spheres which could help all to get jobs and reduce poverty. As it is the world is marching pass us in all these things. Keep religious education in your four walls but work hard to excel in things that make the country an industrial hub, like China or Germany. Very refreshing to read this article. Till the time the Muslim community does not give precedence to Humanity over religion and understand God and religion are two separate concepts there is no hope for this community or for that matter peace in the world. @Abdullah There are sixty Muslim countries and they cannot even meet on a common platform. They cannot agree on a date for Eid. Wishful thinking. @Salim Stop day dreaming, not good for you at this age. How much do we blame contradictions in the nationalist project in Pakistan then, when Indian scholars like Salman Husain Nadvi come up with such statements? The problem is clearly wider and deeper than the Pakistani state; it is an intellectual bankruptcy at the very heart of Muslim scholarly world. @Salim If they survive after killing each other. Muslim religion was started in nomadic Arabia and adjoining areas. Except Egyptian civilisation, it could not penetrate any other old civilisation such as Roman, Indian or Chinese. Islam was able to convert only 38% Indians in spite of Muslim rulers ruling parts of India for about 800 years. Except Turkey no part of Roman empire in Europe became Muslim.The idea of caliphate is nothing but a pipe dream which even Muslim countries will reject. No Indian Muslim will ever join any such caliphate army. All these pipe dreams will vanish once the oil reserves of some Islamic countries finish and they start facing the harsh realities of life..
@Salim Saudi Arabia has banned marriage of their males with Pakistani girls and you talk of greater arabia. Punjabis never tolerated Bengalis and you talk of Ummah. Wake up and face the reality. @Abdullah Is Baghdadi capable of being Khalifa after causing murder of millions of innocent mouselims? @Salim And,then we can see girls doing the catwalk in hijabs? Wowie!! :):):) In London Paris New York! @Salim We will send them happily with one way ticket. We will pray and ensure that they do not return. Please do not take this debate in the wrong direction. Islam is a beautiful religion and I do respect other religions of the world. Please name one religion in this world where people do not have difference of opinion or disagreements with each other however in Islam there is more to it due to the outside world interference and demonization of Islam at international level. I am not a scholar however, I do know anyone can become caliph as far as they meeting the standard criteria of being a good Muslim. @Salim What is this obsession with ruling the world? The history is full of failed attempts. Greeks, Romans, nobody succeeded. Focus should be uplifting of people, all people. Not ruling or subjugating them. The Muslim word is divided with so many sects, that the biggest challenge is UNITY, which is not there. In the Muslim world you name it Khilafat, kingship or democracy,nothing will change,our rulers will remain hypocrite as before,masses will remain neglected like ever before and theologians will never be able to reach an agreement in their interpretations. @Salim You are living in a dream world, my friend. They all need to get Visa to go to These Countries. @Salim If wishes were horses, beggars would ride.. May your ilk be forever caught in those idle day-dreams and reminiscing about the glorious past, than actually undertake the reformation and scientific progress that will propel you into today. That process, if it can ever happen, will anyway take more than a century, if the obvious decline of the entire community is any indication. @M. Emad Are you kidding? Caliphate started in M.East and all other Caliphates are fakes.